reCareered: Linkedin Releases Job Seeker Premium - Want to get to the top of the list? Linkedin just released a suite of premium tools targeted to help job seekers. Good news - they have some truly helpful features ... Bad news - They aren't free. For serious job seekers, I think it's worth the small monthly cost, giving candidates better viability and increased job search efficiency. Linkedin helps job seekers accomplish two basic tasks - Finding target company contacts, and social branding. Job Seeker Premium makes both of these tasks easier and more effective. Parker stated that Linkedin "wants to be the place that people go to find their next job. We'll continue to provide free services, but Linkedin will also offer premium services for those who want greater connectivity and visibility in their search." From my review of the features and discussion with Parker, I was impressed that Linkedin has made a good start in providing value adds that will help candidates in three areas they pointed out above. Parker also gave hints that this is just a start, and that Linkedin plans to release future user capabilities in its job seekers premium tools (Sadly, he wouldn't spill the beans to tell me what they would be). Will Linkedin's new tools find you a job? No. Will Linkedin's new tools give you more ways to help yourself find a job? Definitely. Linkedin offers 7-8 features fine tuned to the needs of job seekers, depending on the package offered. The three that can make the biggest difference are what make the service worthwhile. Other features may be helpful to job seekers as well, but these three are money. Top of the list - This is the #1 reason for Job Seeker Premium, in my opinion. Businesses have been able to buy their way to the top of Google for years. Linkedin Job Seeker Premium allows candidates a way to get to the top of the list. When recruiters or hiring managers search for specific criteria they may get hundreds of results - Premium user results are listed at the top. Since recruiters and HR reps might only call the top 10-20 matches, being at the top of the list helps a job seeker stand out. If you're a Java developer, trying to stand out from the thousands of other Java developers looking for a new position - Top of the list is a huge advantage. InMail - Currently, Linkedin basic users can contact their first level connections. 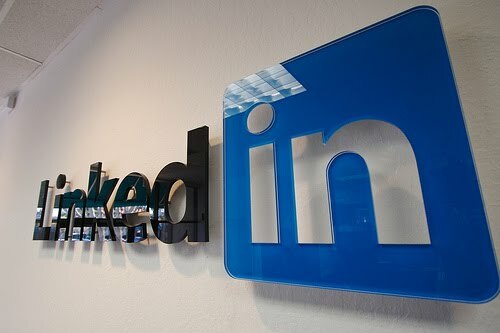 InMail is Linkedin's version of special delivery, allowing candidates to contact any of Linkedin's 60M users - even if they are not a connection. Linkedin's website claims "You’re 30x more likely to get a response to an InMail than to a cold call. Why? Your profile is attached to your message; plus, it never ends up in a spam filter." In addition, it may be challenging to find emails of people you want to reach - InMails make it quick and easy, saving you time. Depending on the premium package you choose you can get zero, five, or ten InMails with guaranteed response - or choose InMails a la carte at an additional $10 each. If you use them, InMails by themselves make the premium service worth while as packages are 1/2 the cost of individually purchased InMails. Use these for people you've just got to reach, or for those who keep their email private. Gold Badge - Linkedin's premium service allows anyone to view your full profile and message you, even if not connected to you without either one burning through expensive InMails or Introductions, allowing unlimited free inbound email. As many new candidates haven't been as active in networking until their job search, having a small network means that few people can see your full profile or contact you freely. While this won't replace building your network, the gold badge gives job seekers with a small network a quick jump start. Introductions - As a free user, you have a limited number of free introductions that pass your info along through three degrees of separation. Job Seeker Premium gives you between 10 -25 introductions per month depending on the package you choose. Using introductions wisely can help you gain inside information to your target companies, reach hiring managers, informational interview sources, or hubs to help in your networking efforts. Expanded Search - the two top Premium service levels allow you to expand your search results beyond the 100 results you currently get as a free user - expanded up to 5x as many results. This can be valuable when searching within large centralized departments at single locations within enterprise companies. For instance, if you search for project manager at Allstate Insurance, there are thousands of results - free users only see 100.
Who searched me? Premium users can see the titles and companies of everyone who initiated a search that your name turned up in. If you've turned up in a recruiter's or company's search, these may be companies you want to put on your target list, or recruiters you might want to work with. Folders - Linkedin premium services allow folders that job seekers can use to save and organize profiles, and store notes. It's not a contact management system, but it gives some capability to add some organization to your contacts. These features have been needed for a while, and Linkedin has been offering premium services to businesses for over a year. When I first saw notices that Linkedin was offering premium services for job seekers I wondered ... What took them so long? This makes so much sense. Linkedin premium has 3 packages priced at $19.95, $29.95, and $49.95. If you want the convenience and direct contacts of InMail I'd recommend the more expensive packages (it's an inexpensive way to use InMails). I don't know of any job seekers who couldn't benefit from being at the top of the list, included in even the least expensive package. That alone makes Linkedin Job Seeker Premium worth the price. Please note: This is not a paid review, and Linkedin did not give me any free services (not even a lousy t-shirt). I wrote it because I think it's a true advance for candidates.